I have to admit I’ve never spent so much time talking about politics with my friends and spouse as I did in 2017. It was quite a year. As the federal government’s largest entitlement program, Social Security faces the possibility of having to reduce payouts for millions of new retired workers after 2037. No one’s life span can be predicted, acknowledges Golden Retirement founder and CEO Jerry Golden, but that doesn’t stop people from trying to plan their finances to last until the end, he says. You can now choose to invest some retirement account money in a deferred-income annuity. Most retirees have two big concerns: outliving their savings and paying taxes on their withdrawals. Now there’s a way to deal with both of those issues. A new type of annuity, called a qualified longevity annuity contract, or QLAC, lets retirees lock in income in the future and avoid taking taxable required minimum distributions (RMDs) on as much as $125,000 of their retirement savings. A stream of guaranteed income from an annuity can provide peace of mind that essential expenses will be covered if you live well into your eighties or nineties. Do your eyes glaze over when you heard the word annuity? When you imagine handing over a large chunk of money to an insurance company in exchange for promised income, do those glazed eyes turn into a death stare? Do your eyes glaze over when you heard the word annuity ? When you imagine handing over a large chunk of money to an insurance company in exchange for promised income, do those glazed eyes turn into a death stare? No doubt, annuities usually don’t generate a lot of excitement. They can be shrouded in jargon, and when you look under the hood, you’re confronted with a complicated collection of moving parts. Making shopping more difficult are all the choices to be made: Do you need income now? Do you need income later? Do you need lifetime income, or income for a certain number of years? No wonder so many potential buyers simply walk away. We all owe taxes on our earnings, of course. So if you set aside a portion of your earnings in a 401(k) or IRA, that doesn’t mean taxes were forgiven — they were only deferred. And if you have appreciated securities in your savings, you’ll owe taxes when you sell them. 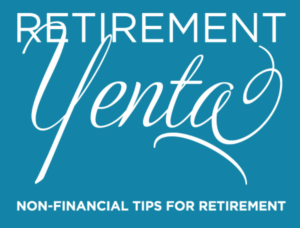 Retirement Yenta’s former boss, Jerry Golden, is blogging about Retirement. RY thinks Jerry has some good advice about anticipating Retirement in two stages. Jerry sees the first stage of retirement as being very active, doing things you didn’t have time for before. In the second stage, he suggests you might be dealing with costs of health care, a home aide, or other expenses that you didn’t anticipate. One flaw with traditional retirement planning is the assumption that your expenses – the type and amount – will be the same (plus inflation) each year, from your final day at work to the end of your life, and that all you have to do is replace a percentage of your pre-retirement income to be comfortable in retirement. For clients in retirement communities, long-term care insurance may be an effective, non-taxable way to cover the costs of living. When aging in place, however, “you need to have a plan based on after-tax income rather than gross income,” says Jerry Golden, founder and CEO of Golden Retirement. Social Security, 401(k)s and other income streams are taxed as usual, but if your clients draw from their accounts to pay for renovations, in-home care or other expenses exclusive to homeowners, they’ll have to plan for higher taxes. Here’s what you need to know about qualified longevity annuity contracts. “The strongest of all warriors are these two–Time and Patience.” Leo Tolstoy was writing about real blood-and-guts combat in his novel War and Peace. But the same can be said about the battle for financial security in retirement. Every good soldier knows that the key to victory is saving early and often. But a relatively new tool, the qualified longevity annuity contract, or QLAC, can pay off for latecomers. Jerome Golden, a financial adviser in New York specializing in retirement planning for boomers, cautions about an overly pessimistic outlook. “You will find that IRAs will become the largest component of retirement savings as 401(k) participants retire, or leave employment,” Golden told the NY Post this week. Jerry Golden, who created the world’s first guaranteed minimum income benefit rider while at Equitable Life in the late 1990s and sold a retirement income planning tool to MassMutual in the mid-2000s, has since launched a venture called Golden Retirement LLC. A beta version of its proprietary QLAC payout quote tool can be seen at go2income.com. “The QLAC is going to open up a lot of people’s eyes to the benefits of income annuities in general,” Golden told RIJ this week. “Challenge yourself with at least one major activity you always wanted to do but never seemed to have time to do so,” said Jerry Golden, president of Golden Retirement Advisors. Jerry Golden, president of Golden Retirement Advisors, is credited with creating the first guaranteed minimum income benefit for a variable annuity when he worked at AXA in the mid-1990s. Today, as a registered investment adviser, he said he advised clients to consider buying fixed annuities over time to accomplish the same goal of guaranteeing income in retirement. Retirement expert, Jerry Golden, president of Golden Retirement Advisors, is the developer of Savings2Income, a website that offers information and tools to create plan for worry-free retirement. 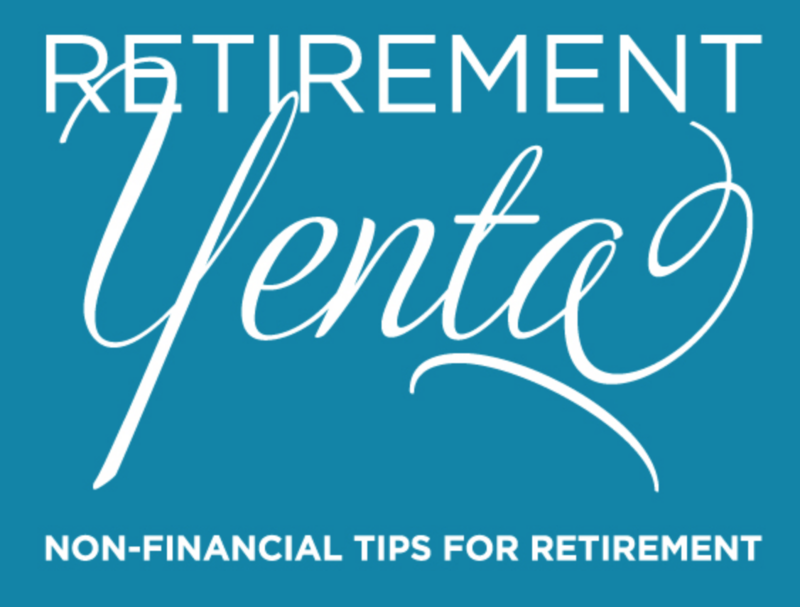 To find out how single retirees can bridge the divide, we asked retirement expert Jerry Golden, president of Golden Retirement Advisors and developer of retirement planning tool Savings2Income, for five tips that might help. One of the best ways to begin saving what you need is to take full advantage of any employer-sponsored plans at work by maxing out personal contributions to any employer contributions, says Golden. What’s nice about doing this is that you’ll never even have the chance to spend this money. It will go directly to retirement savings. Worried About Outliving Your Money? More people are opting for longevity insurance to fund retirement. With pensions scarce these days, some are buying deferred income annuities that provide them with guaranteed income at a later date. The downside: you tie up money that you could be investing. While it can be hard to visualize life post-working world, it’s important to realize retirement planning strategies will likely change in many ways over the course of time, says Jerome Golden, president of Golden Retirement Advisors, LLC. With many experts pointing to Social Security’s imminent collapse and politicians calling it a Ponzi scheme, millions of retirees and near-retirees now see their financial future in jeopardy. But what if there were a way to save Social Security? Would you take it? The push to create distribution planning tools actually started several years ago, but the financial crisis interrupted its progress. In the middle of the first decade of the new century, a team at MassMutual was using technology developed by Jerry Golden to create a tool that an advisor could use to move retired clients’ assets gradually from risky assets to a guaranteed life annuity. How do you know when to start your annuity ladder and when to stop? MassMutual’s Jerry Golden suggests finding the halfway point between your age and your life expectancy. For a 65-year-old, that would mean buying the last annuity in 10 years. As for deciding how to stagger your ladder, there are no hard and fast rules. Jerry Golden, president of MassMutual’s Income Management Strategies division, says, “Generally speaking, you want to get to halfway between your age and your life expectancy.” He says, for example, a 65-year-old would want to complete the ladder in about ten years. Also, consider buying products from several companies to spread your risk if one of the insurers goes under. States generally offer up to $100,000 in liability protection, although rules vary by state. Call 877-263-5576 for more information. Ask Jerry if you have questions about how a 1035 Exchange might help you.